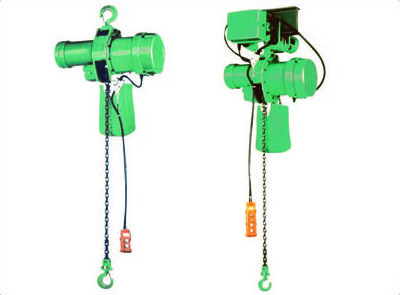 Electric Chain hoists supplied by LGS are designed for all-round material handling operations. We can offer hoists with either simple hook suspension or with Push or Electric Travelling Trolleys. Hoists are fitted with Low voltage pendant controls and are available in either single or three phase supply in some capacities. Customers should seek competent advice when rigging some hoists to avoid Voltage Drop especially with regard to the distance the hoist is operating from the power source. • What length of pendant do you require? • What voltage do you require? • Do you require a Girder Trolley (hand or powered) to traverse a beam?